If the item you're looking for doesn't show up in the search results, please look through the other results that were found. Maybe there is a related theme or category that has your item in it. The navigation bar- the headings at the top of every page - can be used to browse our different product categories. Under "Products" you can browse our furniture, lights, accessories, etc. by category. Alternatively, you can find products by a specific manufacturer under "Brands". Through the individual products, you'll also get a good overview over our large range of products. Our product pages include a lot of information about colours, sizes and materials of the product, so that you can be properly informed about what you are buying. You will also find information here about the delivery times of the selected product, before you order it. The delivery time is split into restocking time, and shipping duration. If the article is not "In stock", i.e. directly available, the estimated restocking time and the standard transport duration within Germany will be displayed. You will also find information about the shipping method here – if the product is delivered via DHL or freight forwarding, for example. This also affects the final delivery costs. Once the total has been adjusted according to your preferences, you can click on "Continue to Checkout" to continue to the checkout page. The mandatory fields are marked with the symbol "*" – these fields must be completed. If you wish to receive your ordered goods at an address that differs from the billing address, please check the according box. After clicking on "continue", you will be able to enter the desired delivery address on the following page. Find out more about the different payment methods on the help page section Payment. If all the information is correct, please click on the "Order" button to complete the purchase process. Then you can easily cancel your order. In order to do this, log into your customer account as soon as possible and call up your open order under "My Orders". On the order page, you can then cancel individual items by clicking on "x Remove item" or cancel the entire order by clicking on "x Cancel entire order". or orders that have already been paid. You can also send an email to service@connox.co.uk, however the cancellation can be done immediately if you call us. 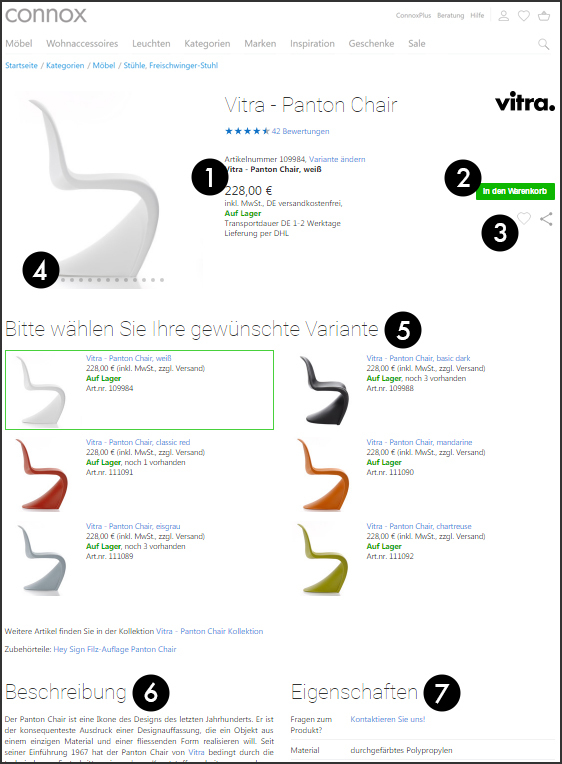 You can view information about your current and past orders in your customer account.After you have logged in, you will find an overview of all order processes such as vouchers, open orders or invoices under "Your Orders".Detailed information, such as order content and shipping numbers, can be found under the relevant sections. This includes invoices and credit memos which can be downloaded as PDFs.